Chely Wright: Wish Me Away release date was Friday, June 1, 2012. This was a Limited in theaters release. 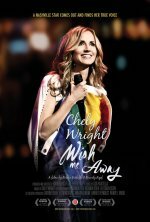 Chely Wright: Wish Me Away is the story of Chely Wright, the first Nashville music star to come out as gay. Over three years, the filmmakers were given extraordinary access to Chely's struggle and her unfolding plan to come out publicly. Using interviews with Chely, her family, her pastor, and key players in the music world, alongside Chely's intimate private video diaries, the film goes deep into her back story as an established star and then forward as she steps into the national spotlight to reveal her secret. Chronicling the aftermath in Nashville and within the LGBT community, Chely Wright: Wish Me Away reveals both the devastation of her own internalized homophobia and the transformational power of living an authentic life.